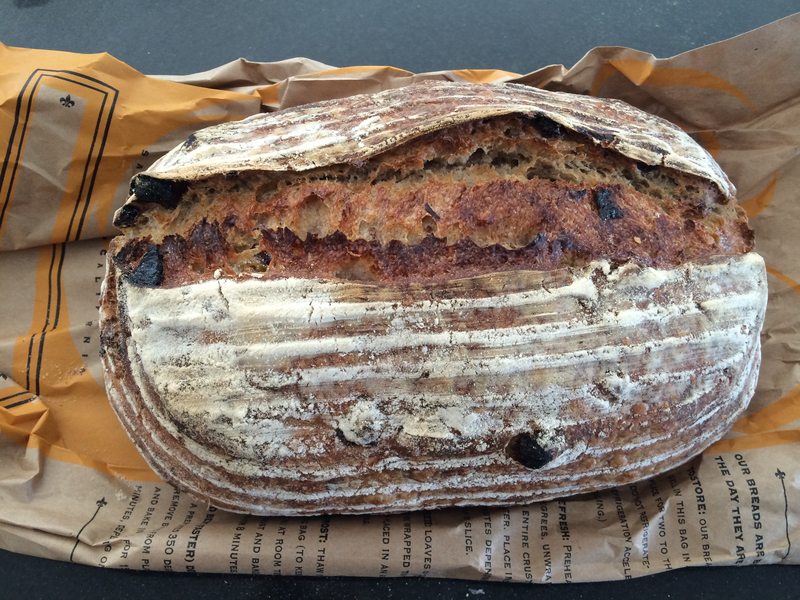 I picked up a loaf of Walnut Raisin Bread today, because regular bread gets pretty tiring quick. This stuff tastes great with a little bit of butter, and I’m not going to have any problem finishing it off today. I’m guessing it has (630g)(2.75 cal/g) = 1750 calories. The butter will put me over 2000 calories for the day. I got on the scale this morning, and saw my weight jumped up a whole kilo from my low point of 79.8 kg two days ago. I’m not really worried about it, because that low followed a hard bike ride the night before. Plus, my water weight will vary day-to-day by a kilo or so. We’ll get an idea of where this is heading after 10 days. We’ll get the final results a day or two after the challenge is over, when I’m back on my usual high-fibre diet. It’ll be obvious from my weight graph what happened over the month. But, if I’m wrong and this whole 30 Day Bread Challenge goes bad, then alert Gary Taubes and Jimmy Moore.